MUZI probably established himself as one of South Africa’s hottest artists via the release of his 2016 debut album, ‘Boom Shaka’. 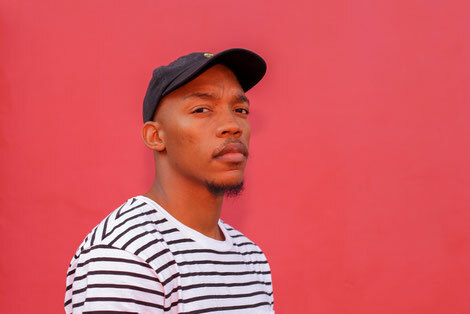 Tipped by The Fader, Mixmag, Vice, Afropunk, Complex, The Independent, Stormzy, Diplo, The Prodigy, Rinse FM, Noisey, iD, UKF, Mass Appeal, and many more, his bold fusion of hip hop, electronica, kwaito (South Africa’s homegrown club sound), and traditional Zulu music, has shown international ears that there’s more to South African electronic music than gqom. MUZI’s new single ‘Chocolate Dreams’ features South African vocalist Una Rams (recently signed by Black Coffee), and Nigerian singer Saint Seaba. He’s just dropped the official video, featuring a performance from Rams that brings life to the track’s blend of house and Afrobeat that’s firmly grounded in the strong tradition of African dance music (Rams sings the last verse in his home language, Tshivenda). The track follows his recent singles ‘Zenzile’ (currently Shazam UK Dance Top 20) and ‘Desire’ (feat. Yanga Madlala) which reached Top 30, and No.17 respectively in 5FM’s SA Top 30 Chart; and hugely successful ad syncs for Apple’s iWatch, Ralph Lauren, and Nandos. After spending 2015 and 2016 in Berlin he returned to South Africa earlier this year to finish his forthcoming second album, to be released in 2018 on his own imprint WE.THE.BUNDU via !K7 and Sony Music Africa. His approach remains deeply inspired by his upbringing – a tale of striving through adversity in the semi-rural township of Empangeni in KwaZulu-Natal, where he’d have to ride for miles to get internet access to send demos to record labels – but his return ‘home’ has had a profound effect on his music and songwriting, reflecting the optimism and energy of the burgeoning SA music scene(s). Prior to ‘Boom Shaka’, his ‘Fire FX EP’ garnered the attention of names and labels including Mad Decent, Foreign Beggars, OWSLA, Rinse FM and more; and the lead EP track, ‘Fire (VIP)’ can be found on the soundtrack to ‘Generation Revolution’, the British documentary which explores contemporary Black and Asian activism. His connection to the UK was further strengthened when he travelled back to South Africa with Stormzy to shoot the mini-documentary for Vice/Noisey titled ‘Stormzy & MUZI: From South London to South Africa’, a coming together of two artists from two different musical worlds. As a DJ, he has apparently become a fixture at South Africa’s most important clubs and festivals. He made his UK debut at Bestival, and made a significant impression on Berlin’s club scene via sets at Ohm, Schwuz, Musik & Frieden, and Monarch (where he headlined a Vice party that apparently saw 1000 people descend on the 250 capacity venue).